Notes Images were taken in collaboration with Robert Pölzl. 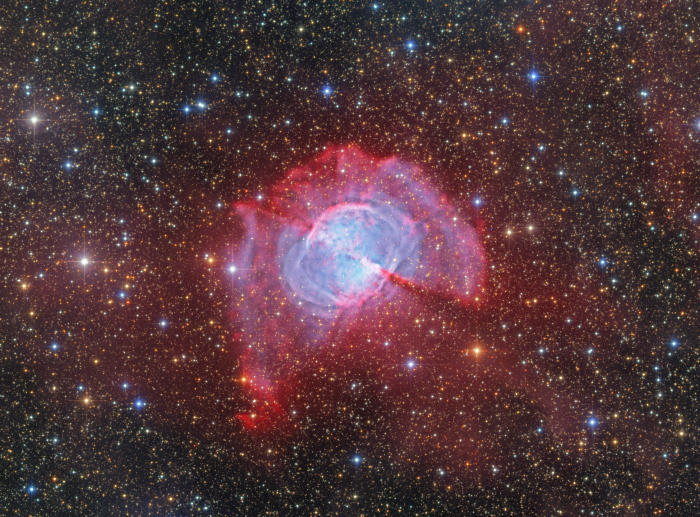 This extremly long exposure (almost 80h) shows very faint nebula structures around the famous dumbbell nebula with its known Hα and [O III] halo. Interestingly, the faint structure in south-west direction (lower right) was found in the Hα+[N II] and in the Luminance channel. An LRGB image without narrowband data enhancement can be found here.